We at Premier Meat Company promise to deliver you the highest quality, premium mail order steaks at the most reasonable price. Each steak is hand selected, carefully trimmed and aged a minimum of 14 days. 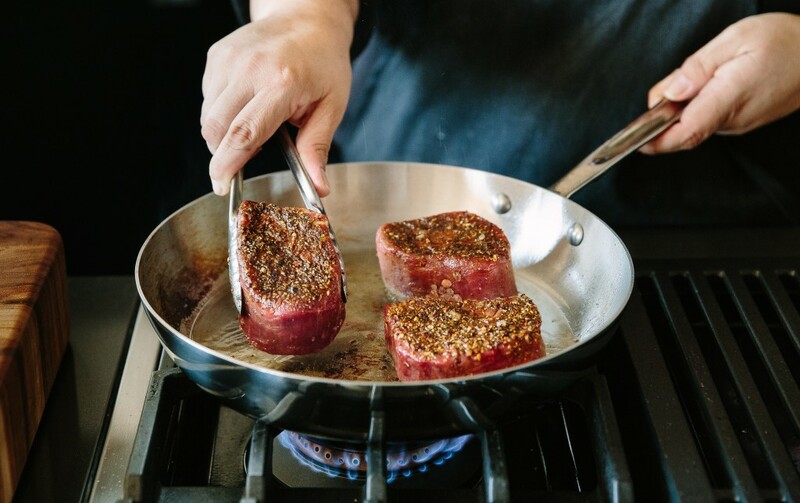 We guarantee that you will get consistent, USDA steak every time, that is unparalleled in flavor, well-marbled and always tender. We are your best source to buy steaks online. Get your mail order steaks fast and fresh. We make it as easy as possible for you to buy steaks online. When you buy from Premier Meat Company, you know you are getting the best quality mail order steaks guaranteed. We offer USDA prime and upper one third USDA choice/Certified Angus Beef sirloin, filet mignon, ribeyes, and strip steak. We also offer steak combos for the best value. At Premier Meat Company, we are proud to share with you a process, over 50 years in the making, and improving all the time. We guarantee the delivery of quality Premier Meat Company steaks that will keep you coming back for more. Our reputation is at steak!